RIGS professional guides have been training fly fishing, float fishing and whitewater guides since 2001. Our unique proximity to a diversity of waters is what makes our guides so versatile and our fly fishing guide school the perfect location to start a career in guiding. We have access to a variety of waters including; remote and technical float fishing sections, fast and busy freestone rivers and world class tail-water fisheries. In addition to great resources, we pride ourselves on our high level of professionalism and amazing staff. 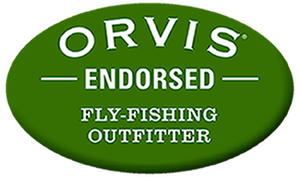 Participating in RIGS Fly Fishing Guide School training will give you a versatile foundation to begin your career! Fly Fishing Walk Wade Guide School is an intensive three-day course that provides prospective fly fishing guides with classroom and on-the-water instruction to gain the skills necessary to become a well rounded and professional guide. While you don’t have to be an experienced angler to take this course, a basic understanding of fly fishing is required. Float Fishing Guide School is an intensive seven-day course providing students the essential skills needed to become a professional float fishing guide. In order to become a fully certified and employable float fishing guide in the State of Colorado, each student is required to meet Colorado’s minimum raft guide qualifications, conducted by qualified instructors certified as Guide Instructors with Colorado Parks & Wildlife via its River Outfitter Program.